After 4 years of drought and recurring mild winters, it looks like we are going to get a real winter here in the Sierras of Northern Califonia. I recall thinking last year how easy it was to cast in December when I was in my shorts and enjoying tempertures in the mid 60’s. 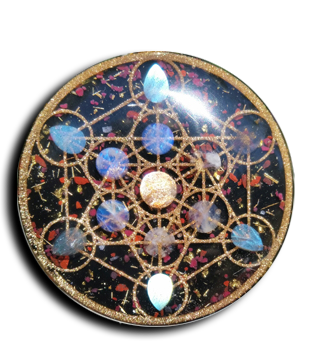 Warm weather is great for making orgone, all the cast cure quickly and properly. Wet and cold weather make casting extremely difficult. Winter has its benifits though. The more I work in this medium I see the importance of preparation. Four monthes of horrible casting weather can give you plenty of time to enjoy preparing epic works. This is essentially how the time in form series came into being. I forced myself to into hibernation mode, full hermit. No facebook posts, no webpage updates, just the work of preparing these enormous cast, crushing stones, mold making, model designing, etc. I am so grateful for that experience because it has helped me embrace the winter, turn within and discover what wishes to come forth when the sun returns.